Glove box with purification for manipulation of products sensitive to moisture and/or oxygen. 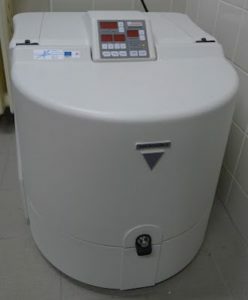 FreeZone Freeze Dry Systems is designed to handle the lyophilization needs of research and pilot plant laboratories. 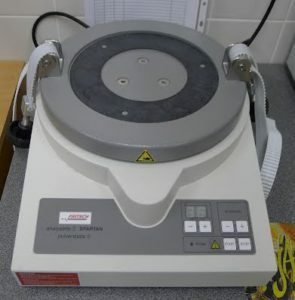 System is capable to handle 10-1000 ml volume of sample. Milling and homogenisation of powders in WC, Si3N4 or ZrO2 vessels with balls from the same materials with a max. speed of 600 rpm in planetary ball mill. Planetary Mill determined for the finest rapid, batch-wise comminution of hard to soft grinding material, (dry or in suspension, down to colloidal fineness), for mixing and perfect homogenising of emulsions and pastes.